Tile has launched the Tile Pro - the first Tile product to come with a replaceable battery, one of the most requested features from Tile users. With a range extended to 90 metres, doubling the upgraded Tile Mate's 45 metre range, the Pro is also three times louder than the Tile Slim. So you should be able to hear it over the commotion of your partner rummaging around to find their keys. 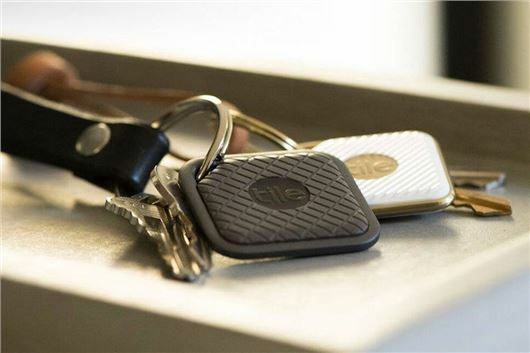 The Tile Pro is black to distinguish it from other Tile trackers, the Mate and Slim, although Tile also sell a white version of the Pro when you purchase a Pro Combo two-pack. The replacement battery, which can be changed via a sliding door, means the reTile programme - which lets you return your old Tile and get a 40 per cent discount on a new one - will be no more. The Pro, which has a has IP55 dust and water resistance certification, is lower than the previous unit's IP68 rating because the battery compartment isn't sealed. This means it won’t be harmed by water splashed at it, however, it should not be submerged in water. Battery life stays the same at around 12 months though. The new Tile Pro is available in a single pack for £30 or a twin pack for £60 (currently £50 on Tile's website). Buyers also get a 30-day guarantee and one-year warranty. The existing Tile Mate also receives an upgrade, with an extended 45m range (as mentioned earlier) and a replaceable battery of it's own. If you're not familiar with Tile products, they're designed to track whatever you attach them to or put them in using Bluetooth. So the obvious things are your keys and wallet. But it's essentially anything you don't want to lose - whether that be your luggage, digital camera, backpack or laptop. Beyond the Bluetooth range, the app will automatically record the last time and place it saw the unit. Once it's picked it up on Bluetooth, you can 'ring' your Tile from your phone to track it down. Or mark your Tile as lost on the app and every phone in the Tile network - which currently has more than 10 million users - will begin looking for your lost device. And you'll be notified when it's been located. Tile is also launching a new premium service, which offers exclusive extra features for £3 per month or £30 per year. Premium customers will get a free replacement battery each year for each of their Tiles at no extra cost, and will be able to see an independent location history for each of their Tiles for up to 30 days. Subscribers to Tile Premium can share their Tiles with an unlimited number of users, rather than just one other user. Premium members will also get a three-year guarantee for every Tile they own, instead of a one-year guarantee.